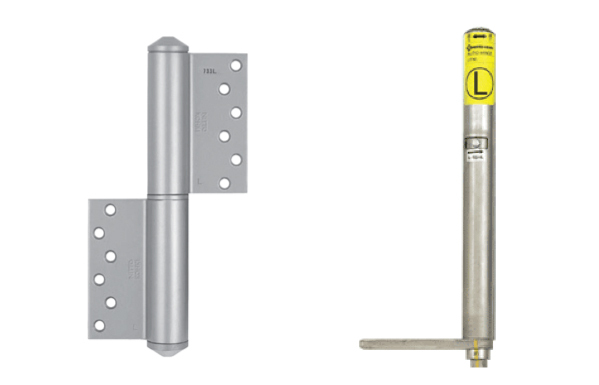 Auto-Hinge™ is an innovative self closing door hinges, ideal for all kinds of swing door applications including heavy duty commercial and industrial door. 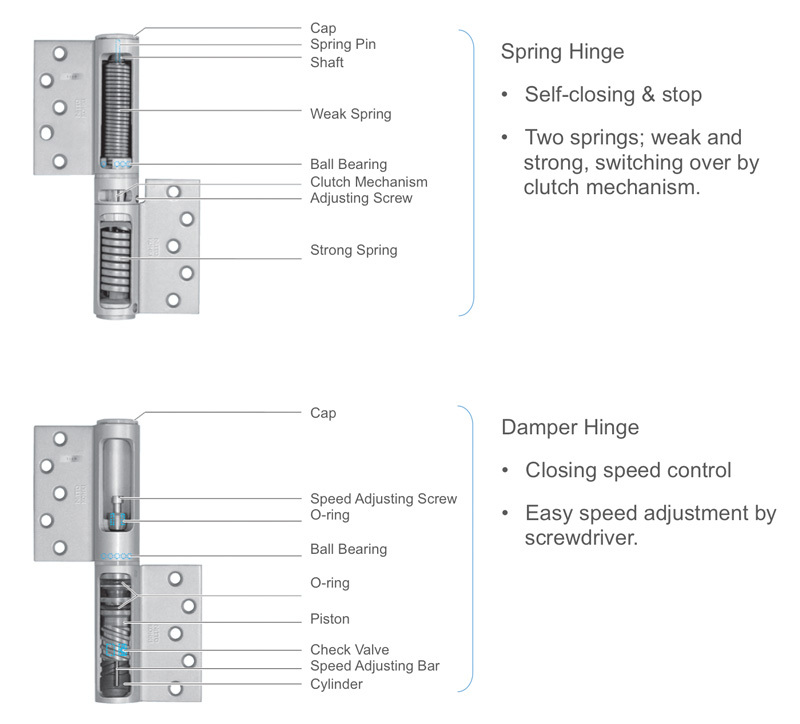 Using a combination of hydraulic power mechanism and spring technology. Realizing very smooth closing action. High efficiency; (Closing power) ÷ (Opening power) = 70%, very light opening & firm/solid closing. Refined functionality and elegance of design, offering sophisticated interior/exterior appearance. Simple and compact design achieved by integrated arms and hinges into one body. 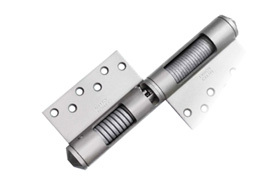 The Hinges double as door closers, thus giving the doors a neat-looking finish. Their simple and beautiful designs match all kinds of doors. They can also be used on arch doors that are not readily compatible with other door closers and doors with no head rails. These hinges are installed in exactly the same manner as conventional flag-type hinges. They do not require much labor. They are easy to handle. They are so structured as to undergo little friction, thus achieving outstanding durability. 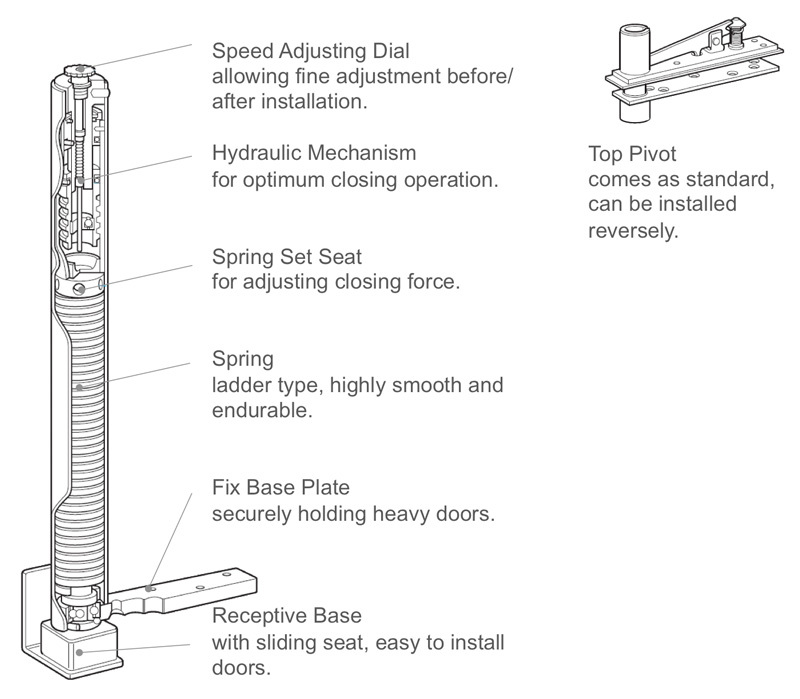 Constructed door built-in closer of pivot type, thus being easy to install. In addition, it presents a slim appearance, without affecting the beauty of a door. Constructed with unique hydraulic control mechanism.